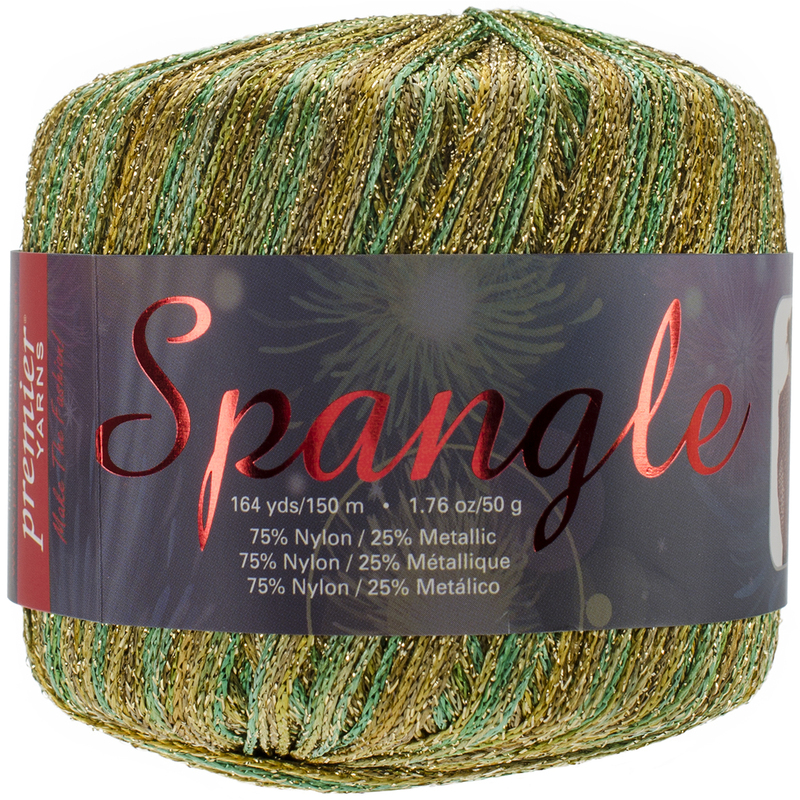 PREMIER YARNS-Spangle. The shimmer and sparkle of glitter will dress up any project- from tops to shrugs to bags. Weight category: 3. Content: 75% Polyamide/25% Glitter Yarn, 1.76oz/50g, 164yd/150m. Gauge: knit: 5-1/4-6 sts per inch on US5-7/3.75-4.5mm needles. Care: hand wash in cool water, lay flat to dry, do not iron, do not bleach, dry cleanable with any solvent except trichloethylene. Available in various colors: each sold separately. Imported.